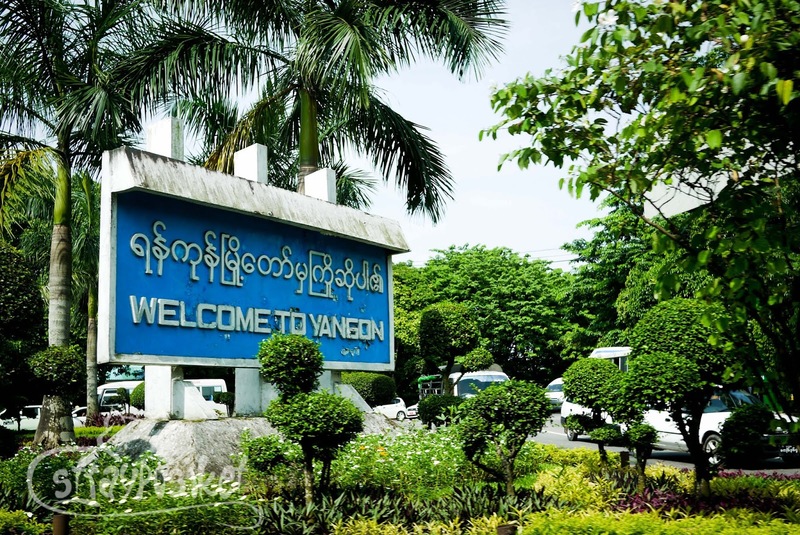 Our plane touched down Yangon International Airport 45 minutes behind schedule. Upon connecting to Myanmar's cellular network, our phones re-adjusted to 8:45am, Myanmar local time. An hour and a half earlier than Manila. Aside from us 4, there were only two Filipinos on board. A few Westerners and all the rest were locals. As of this writing, there are no direct flights to Yangon from Manila so we flew in from Kuala Lumpur via Air Asia. If you prefer to enter Myanmar via Mandalay, you can fly from Bangkok. Visa on arrival is available but as Filipinos, we are already exempted from visa since January 2014. Hooray! But I guess the IO wasn't well informed of that. She was surprised when I told her I'm not required to have a visa. She had to ask her colleague before she believed that I was telling the truth. I cannot blame her though. Maybe she isn't used to seeing Filipinos spending their vacation in her country. Having been born and raised in a tropical country, I don't really worry much about the high temperature and humidity of a country I visit. 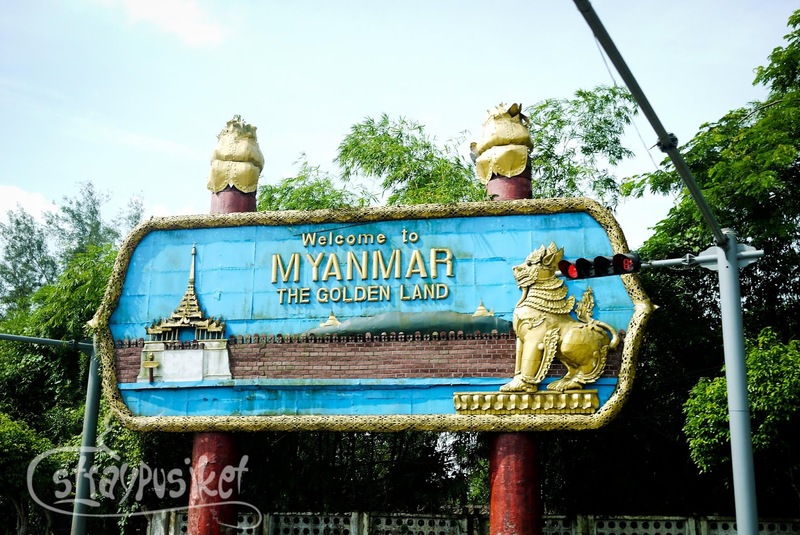 Just like the Philippines, Myanmar's average temperature is around 87F just like Manila's. Light clothing is the best option to wear and since we're visiting temples, we also brought our sarongs and long cotton skirts. Expect rain if you're traveling in July. But it was sunny most of the time during our trip. Just bring umbrella to be sure. Myanmar's currency is Burmese Kyat (pronounced as 'chat'). Current exchange rate during our trip was around 978 kyats to a dollar. Exchanging money in Myanmar has always been a challenge to foreigners. Money changers only accept USD which were issued 2006 onwards (now it's 2009 onwards) in their pristine condition. Crisp. No fold. No crease. No marks. The smallest crease in your Benjamins can give you a big headache especially if you do not carry enough cash. Some might accept them but may give you a lower rate. Some say there are some with certain serial numbers that are not accepted. We were not sure if this is still strictly implemented but to be safe, we requested the money changers (in Manila) to give us the newest, crispest looking US dollar available. I put the dollars in my hardbound notebook just to make sure. There are lots of money changer booths just after the baggage claim. Some say they give the highest rate in airport. We were able to get a rate of 972 kyat to a dollar through CB Bank. And it is true. It was the highest rate we got in all of Myanmar. Surprisingly, our dollars were not even examined. The lady behind the counter just took our crisp 2009 issued (but with very very minor folds) USDs and put them straight in the drawer. But that doesn't mean you can bring your folded USDs. It is still best to be prepared. 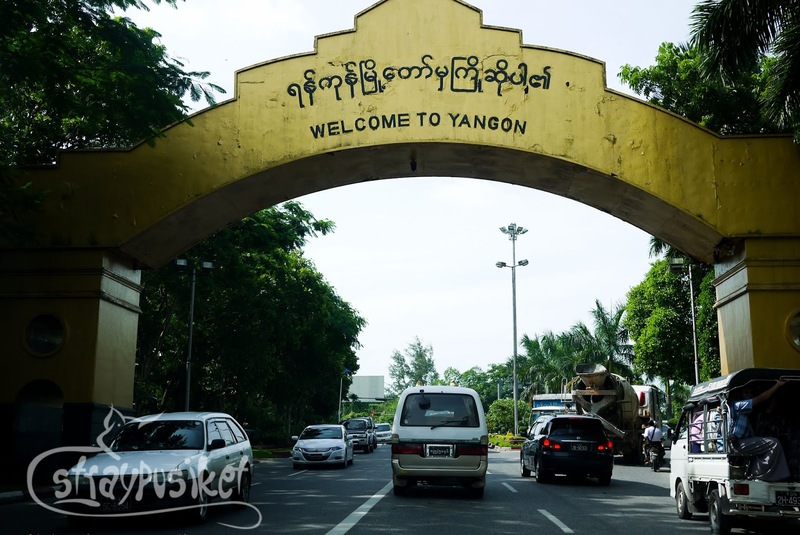 We only exchanged enough for our 2 day stay in Yangon. 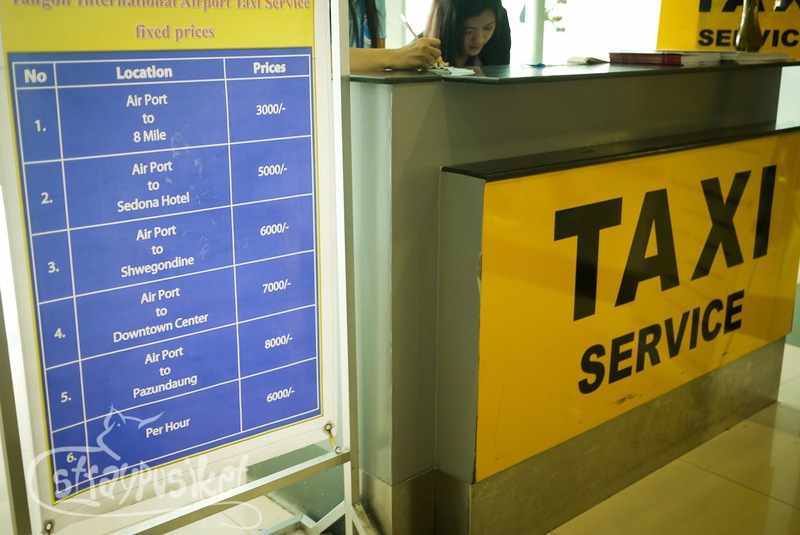 After the customs declaration, there's a taxi service kiosk which offer fixed rates. To save us from the burden of haggling with the taxis outside, we just availed of this service. From the airport to downtown (in our case at Clover City Center), the rate is 8000 kyat. With aircon, it is 9000. For a thousand kyat difference, of course we chose the latter. A bit expensive for a 40minute ride but we are four in the group with four big luggages so I think it's fine. 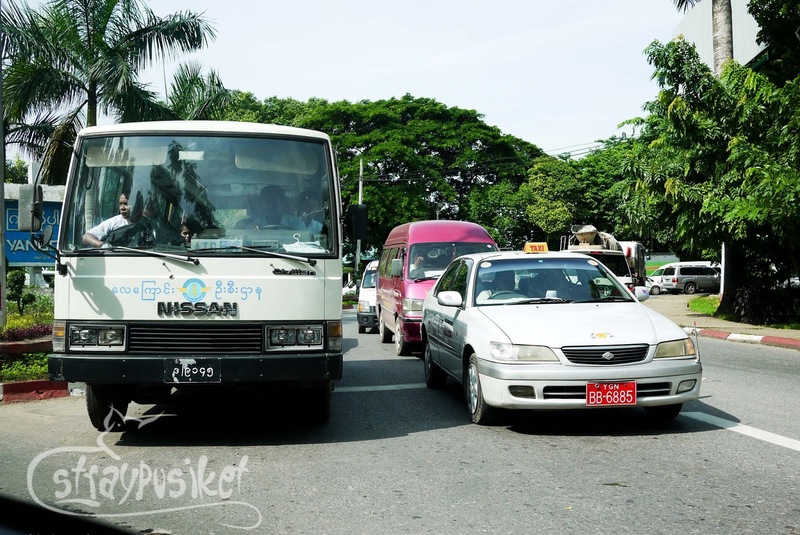 The manner of driving in Yangon is the weirdest we've witnessed. Vehicles are a mix of right-hand drives (from Japan) and left-hand drives (from Taiwan) and both are driving on the right side of the road. 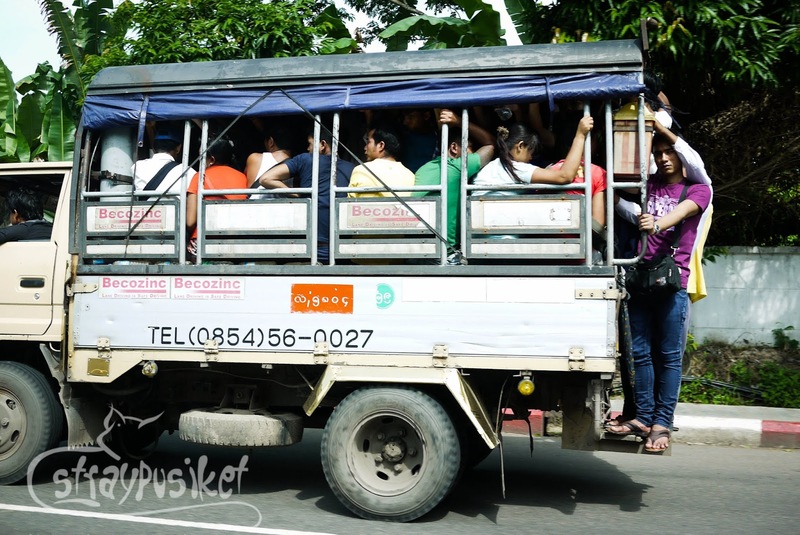 If we have jeepneys as common mode of transportation, they have their covered pick up trucks. They also have buses but I do not recommend them especially if you cannot read their language. 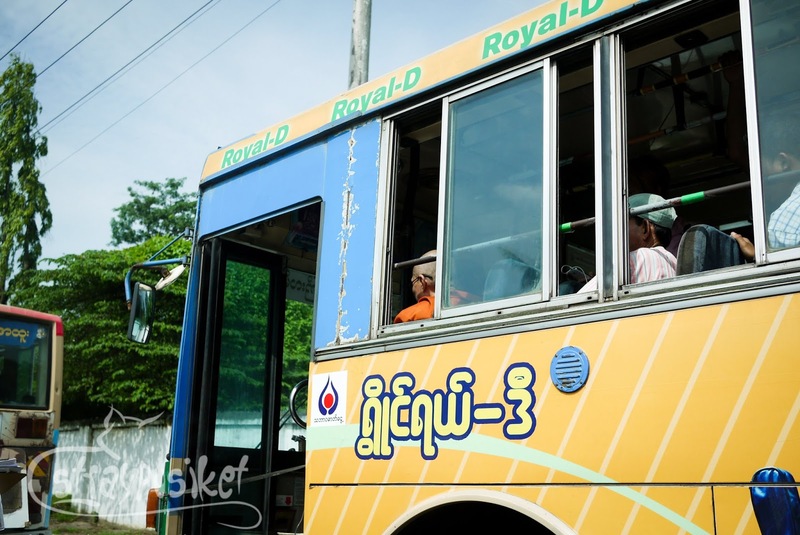 Bus routes are mostly written in Burmese. 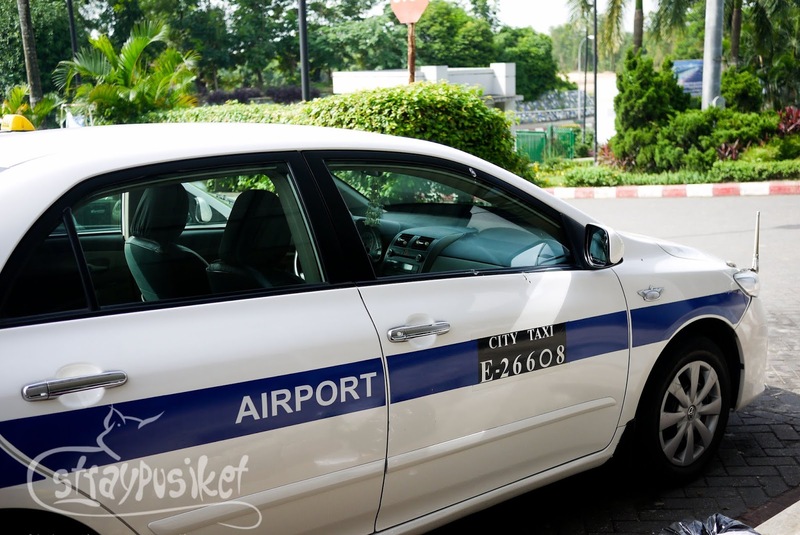 As for the taxis, they do not use meter and you have to request to turn on their air-con. Most Burmese men also wear longyi (long-dzi) as part of their everyday clothing even if they go to work. I just don't know if they still wear pants underneath. I forgot to ask. Hehe. As for the footwear, we didn't see any local wearing shoes. They either wear sandals or flipflops. Do not expect to run to a Starbucks store for a quick coffee fix or Mcdonald's if you're craving for burger and fries. 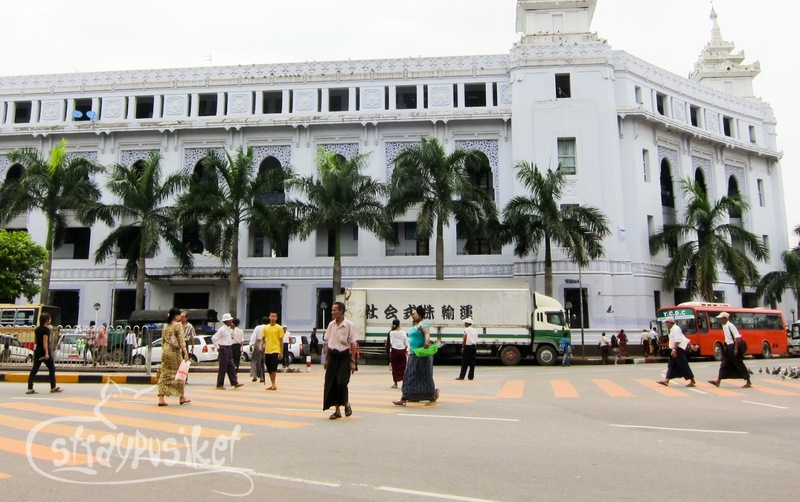 They are non-existent in Yangon. In all of Myanmar actually. Don't worry as there are local restaurants offering Western cuisine. If you're aiming to try their local cuisine, you can easily find restaurants and cafeterias. Or if you're brave enough (or your stomach for that matter), you can sample the dishes being prepared on the sidewalk with their bare hands. 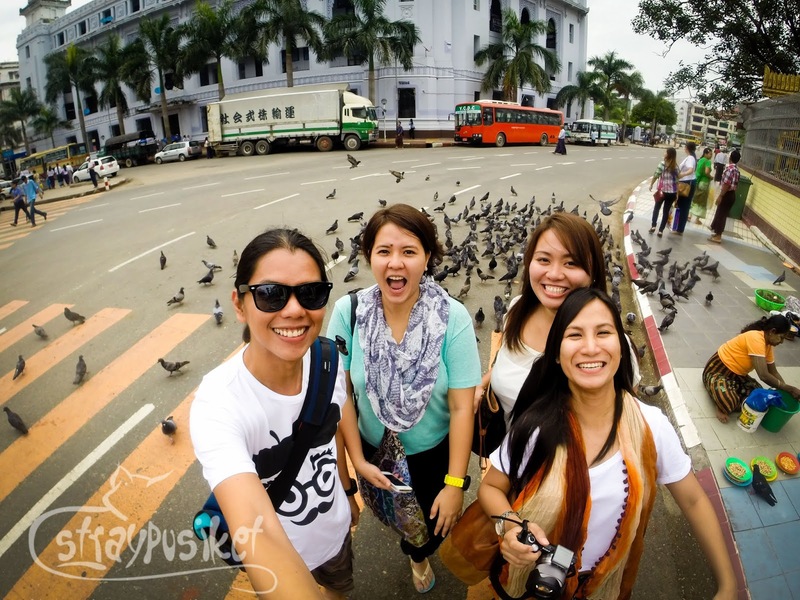 Surprisingly, most locals we have encountered can understand and speak basic English. Even the kids that sell souvenirs can speak the language and has good accent too. 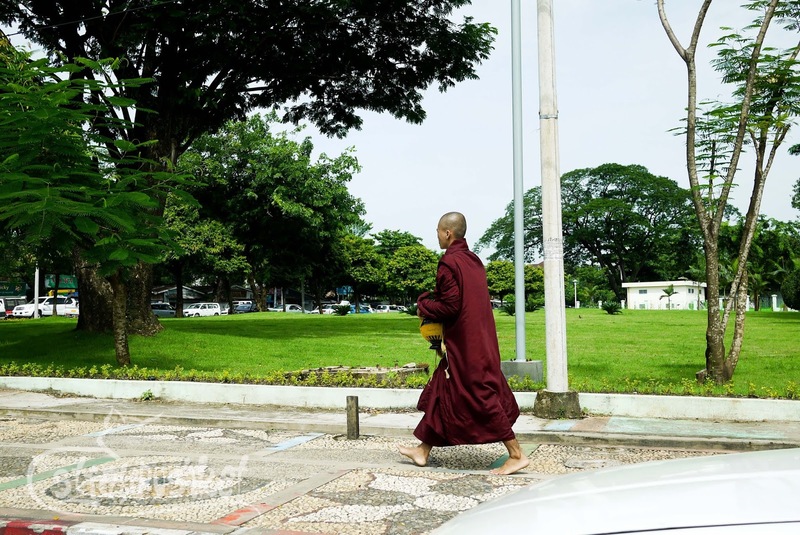 Theravada Buddhism is the main religion in Myanmar. About 90% of the population are Buddhists which explains the numerous temples around the country most especially in Bagan. We didn't bother getting a local sim as we always go together. We could always use our own numbers anyway to call our families back home. Most blogs I read talked about the difficulty of finding a decent internet connection in Myanmar. I guess so much has improved in the recent years as WIFI is available in hotels and most restaurants we've been to. Social networking sites are accessible too. These are basically the things to expect when traveling to Myanmar. Find more about it on my next posts as I describe our everyday experiences in the Golden Land.